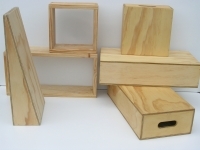 All indoor/outdoor project blocks blocks are made in our factory premises from top quality chosen Australian ply and pine. 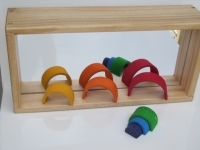 They are smoothly sanded , oiled with Raw Linseed Oil to a beautiful finish. Raw Linseed Oil is Non Hazardous according to criteria of Work Safe Australia. 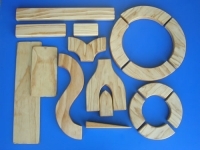 Mirror Blocks and Transparent Blocks are made of solid pine, with a lacquer finish. Children and babies enjoy seeing their reflection in mirror blocks and the changing colours of their surroundings with our coloured transparent windows. These blocks make great display boxes. You will be impressed with our most popular blocks and at very competitive prices.